India’s Next Superstar will provide genuinely talented performers a rare opportunity to fulfill their Bollywood dream and showcase the entertaining yet challenging journey of a superstar in the making. 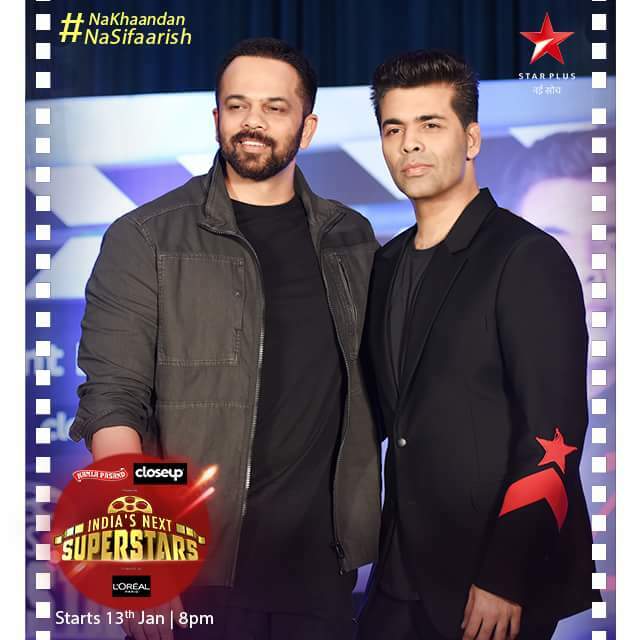 The winners of the competition will get the chance to star in a Karan Johar – Rohit Shetty project; a co-production of Dharma Productions, Rohit Shetty Picturez, and Fox Star Studios India. The show aims to take the viewers on a thrilling journey, replete with all the glitz and glamour of the gala rounds on weekends, and the grittiness and rawness of the boot camp on weekdays, capturing the making of India’s next movie icons.